SevenExcellence™ is the perfect choice for applications where maximum measurement accuracy is required. The multi-channel instrument allows measurements of 1, 2 or 3 parameters simultaneously, either in the same or in different samples. Professionally executed installation and qualification as well as regularly performed maintenance and calibration ensure error- and carefree instrument operation. Moreover, our qualification and calibration services support you in fulfilling regulatory compliance and provide you with essential documentation required during quality audits. The operation of SevenExcellence™ is so intuitive that it can be immediately deployed without requiring long periods of user familiarization. Starting an analysis, changing the settings and accessing the results is easily achieved thanks to the cleverly-devised touch screen menu operation. The large clear color display and the state-of-the-art touch screen operation make working with this instrument particularly enjoyable. The instrument’s operation has been designed to support your workflow in the lab. The instrument speaks your language, making the selection of the right menu settings intuitive. The instrument gives you the choice! By a single keypress you can switch between two different views with varying degrees of in­formation. In the uFocus™ view, you will not be distracted by infor­mation that is of less importance. Measurements or calibrations can be easily started by pressing either the "Read" or "Calibrate" tabs. This flexibility allows for direct measurement or calibration execution without the need to change the settings before each sample. The capacitive touch screen with clear buttons and an intuitive menu structure makes the instrument's operation fast and easy. The menus exist in 10 languages and do not contain a single cryptic expression! 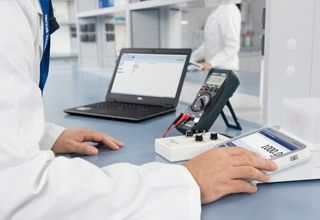 SevenExcellence™ offers flexibility on all levels, ranging from the number of measurement parameters to the choice of a vast collection of peripheral devices. The instrument's interfaces allow you to connect peripherals simultaneously, supporting your workflow in the best possible way. SevenExcellence™ fits three modules in any composition and order. It offers the highest possible flexibility as you can expand the instrument at any time, adding new measurement parameters. This instrument has been designed to help you meet the most stringent compliance requirements. 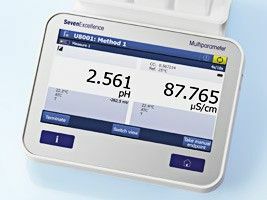 SevenExcellence™ offers the ideal combination of innovative properties integrated within the instrument, appropriate documentation and services. 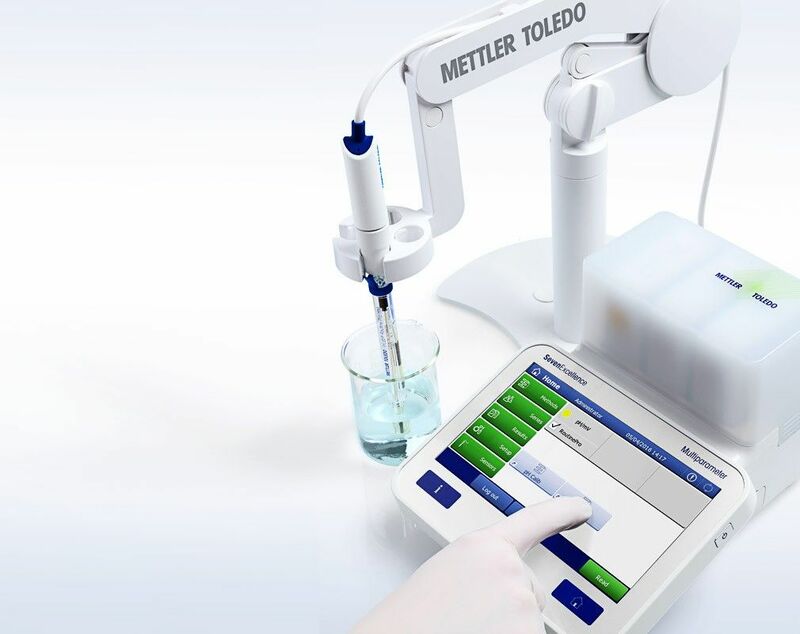 METTLER TOLEDO also offers professional installation, qualification and calibration services. These services not only guarantee accurate and precise measurements, but also leave you worry free when it comes to possible compliance issues during quality audits. 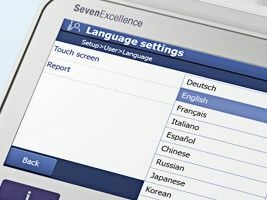 SevenExcellence™ has an ingenious user management system with four levels from operator to administrator, each with progressively more rights. This allows the assignment of rights to a user that match their experience and authorization level. Therefore the risk of unintentional or unauthorized changes, or deletion of results, is eliminated. 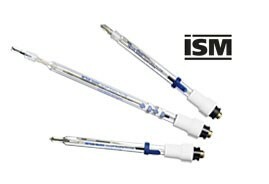 ISM® sensors are automatically identified by the instrument, preventing the use of the wrong sensor ID by mistake. Furthermore, calibration data is stored on the sensor and upon connection it is automatically transferred to the instrument for further use. 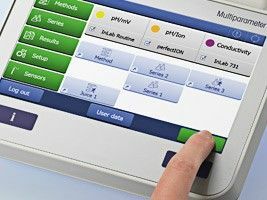 LabX® adds more functionality to your pH meter such as data and resource management, report creation and ERP/LIMS integration. 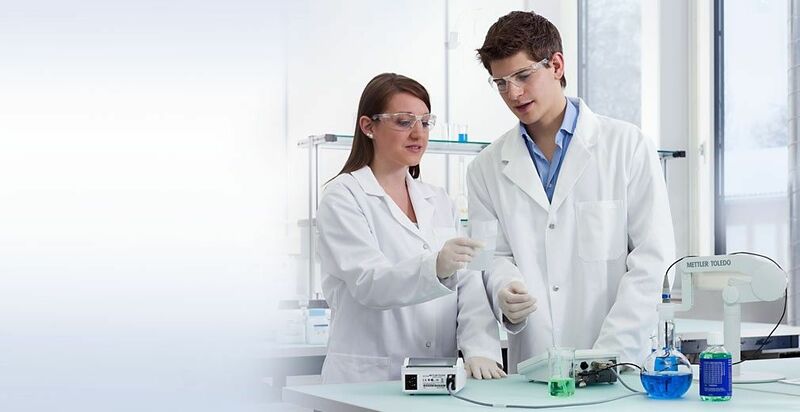 It also offers regulation support and connects SevenExcellence™ to other laboratory instruments. 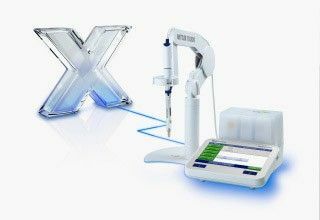 SevenExcellence™ has been designed with the objective of optimizing the workflow and making work in the laboratory more efficient. 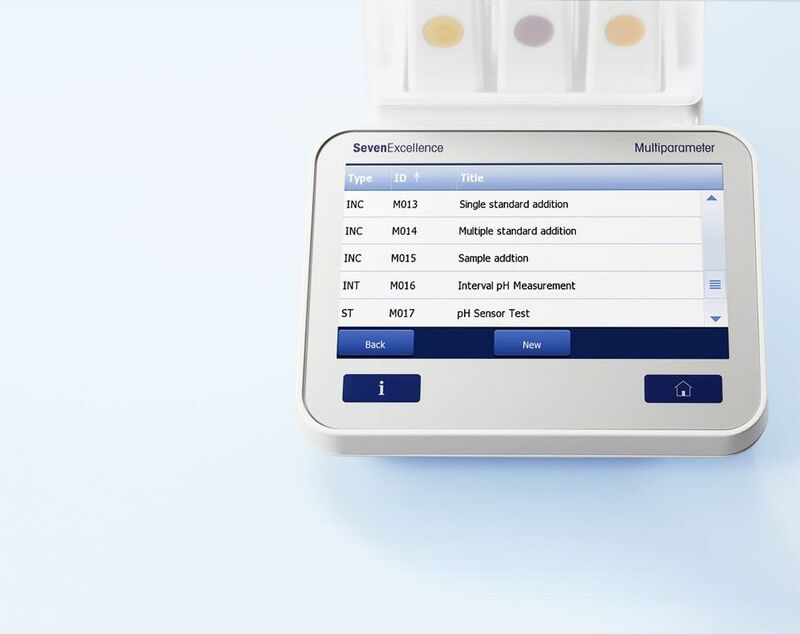 Just one click is needed to start a sample or a series of measurements or an analysis series with an optional autosampler. Once setup, data archiving is a standard procedure that will take place automatically following each analysis. 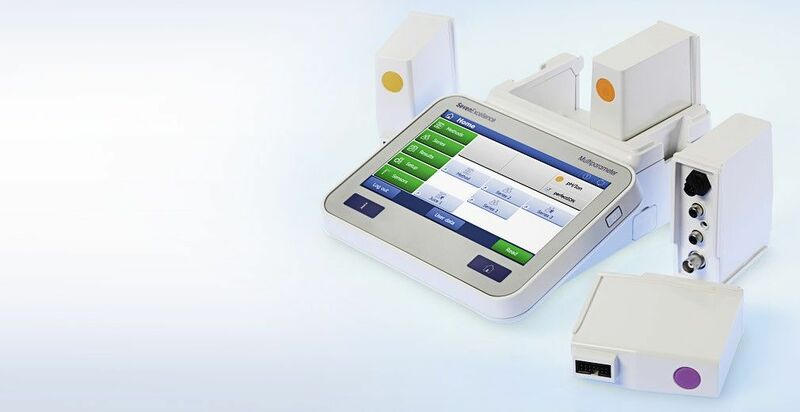 SevenExcellence™ has USB, Ethernet, RS232 and Mini-DIN interfaces, allowing the connection of a barcode reader, uMix™ stirrer, Rondolino sample changer, USB stick, and printers. Executing specific analyses involves a sequence of steps that must be performed identically to yield the most accurate results. With OneClick™ methods, you can start an analysis with a single keypress, resulting in less errors and higher efficiency in your laboratory. The InMotion™ Autosampler integrates with your pH meter to maximize throughput without sacrificing bench space. Create a flexible and efficient workflow by eliminating process order and transcription errors. SevenExcellence™ comes with uPlace™: The electrode arm with perfectly vertical movement can be operated using only one hand. This allows for faster measurements and reduces the risk of the sample vessel tipping over or damaging the sensor. 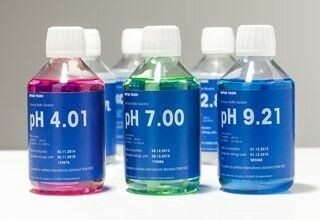 pH measurement does not depend only on your pH meter. All components in your system must be working at their best to provide reliable results. 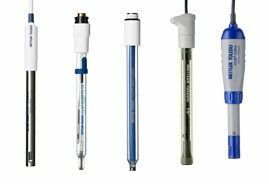 Ensure your electrochemistry system is complete by choosing the right sensor, solutions and installation services for your specific needs. 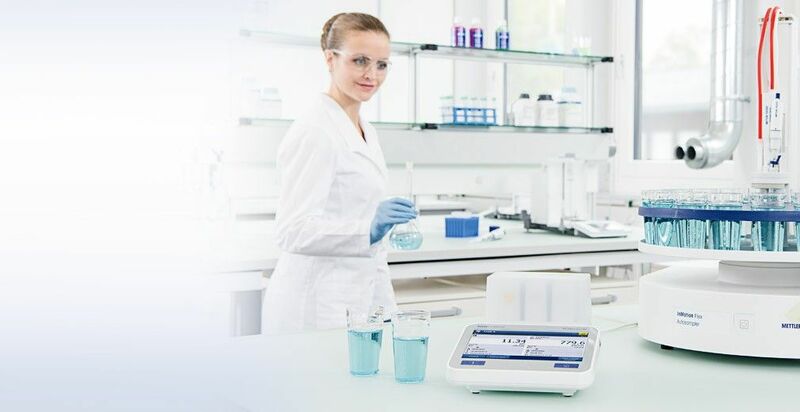 METTLER TOLEDO offers a comprehensive range of top quality buffers, standards, electrolytes, cleaning and verification solutions for determination of pH, conductivity, ion concentration, ORP and dissolved oxygen. All solutions are available in bottles or single use sachets. We offer different service packages depending on your needs. These range from professional on-site installation and configuration to documented proof of compliance. If full coverage beyond initial warranty is desired, we offer an extended care package in the form of preventive maintenance and repair. What can be SevenExcellence™ benchtop meter used for? SevenExcellence™ stands for convenient, easy-to-understand operation combined with high measurement accuracy and outstanding flexibility. 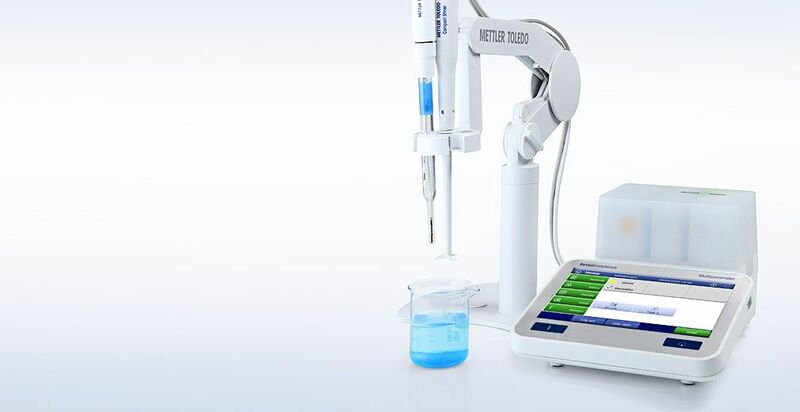 The operation of the instrument with its capacitive touch-screen and large 7 inch display is truly intuitive, reinforced by the availability of menus in 10 languages. 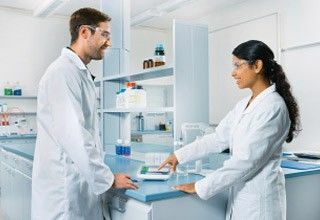 The instrument can effectively cope with complex applications and stringent requirements in regulated markets, but it also provides added value for routine measurement tasks in the laboratory. The SevenExcellence™ series comes in different pre-configured models, but each of them can be modularly expanded at any time to add further measurement parameters. uPlace™ sensor holder with the perfectly vertical uPlace™ movement helps you bring your electrode in the position where it works best for your sample. This allows for faster measurements and reduces the risk of the sample vessel tipping over or damaging the sensor. EasyDirect™ pH activation key for transferring real-time measurement data and archiving your results. Improve your electrochemical processes and learn more about possible risks. The GEP Risk Check, a systematic approach to maximize accuracy and repeatability, will point out where you could do better and suggest possible ways to get there. Is it possible to send data from SevenExcellence™ to a laboratory information system (LIMS)? via USB cable from SevenExcellence™ to a PC, where EasyDirect™ pH software is running; a file in user-defined formted can be exported and then imported to LIMS. SevenExcellence™ 2.2 and later versions additionally provide a remote interface via Ethernet and USB, which can be turned on and configured on the instrument side. The interface allows for processing of complete workflows like deploying a method to the instrument, starting a method on the instrument and collecting all results from the instrument. SevenExcellence™ 3.0 and later versions can be connected to LabX platform and to setup a fully integrated system which allows bidirectional communication. Detailed information about installation of remote control for SevenExcellence™ can be supplied to users on demand from local support. Which printers can be used with SevenExcellence™? Are the cables included? A printout similar to a PDF file is created. It is not possible to connect a standard PC printer to SevenExcellence™ directly, only via an Ethernet connection. USB compact printers (P25, P-56RUE and P-58RUE). The same information as on a PDF file is printed, but in a more compact format. The mains cable and the USB cable are included in the delivery of the printer. RS232 compact printer (RS-P25, RS-P26, RS-P28, P-56RUE and P-58RUE). The same information as on a PDF file is printed, but in a more compact format. The mains cable and RS232 cable are included in the printer delivery. At least for version 1.00, 1.10 and 2.0 of SevenExcellence™ only printers with auto baud rate function are supported. Therefore, RS-P42 or GA42 or similar printers cannot be used. From SevenExcellence™ version 4.0 onwards RS-P42 printers can be used with baud rate deactivated. Where can I get instructions on how to externally control SevenExcellence™? It is not possible to send any commands to SevenExcellence™ like it used to be possible with SevenMulti™. The instrument can be set into a special mode (DCS mode) which allows the user to control it remotely via USB or Ethernet connection. 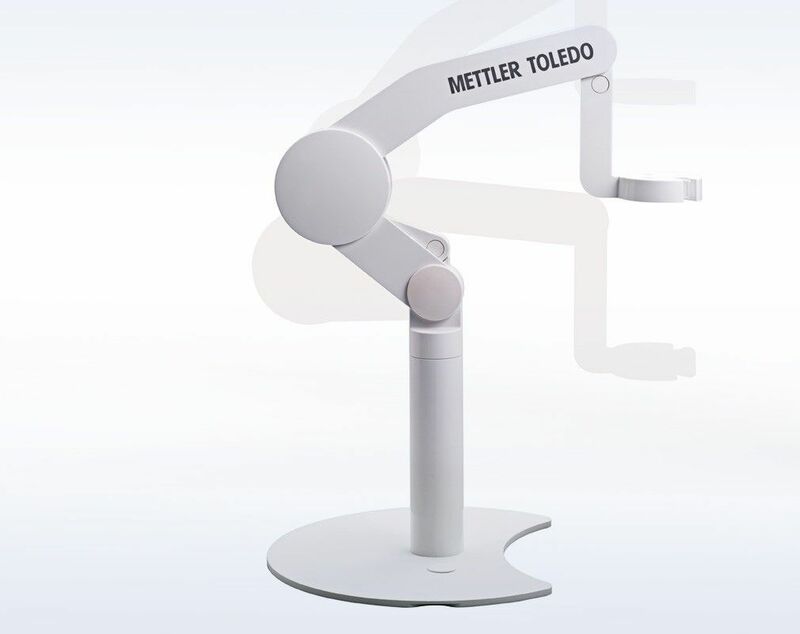 The command set for this is available at your local METTLER TOLEDO support. How can I get support for LabX® software? Release notes, frequently asked questions and details on open issues from our R&D, technical support and user community. Go to: http://activation.mt.com and login with your user credentials to see the link to the knowledge base.